It's February , and it seems like the year 2017 has just started, and getting used to writing down 2017. This month, there are so many birthdays to celebrate starting the first day of the month. 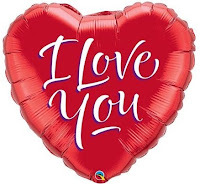 Two great presidents - Abraham Lincoln's birthday is on the 12th, George Washington's is on the 22nd; and then there's Valentine's Day. It is a very lovely month, and there is a lot of loving this month of February. Happy Valentine's! My parents brought 7 children into the world. While we were growing up, my mother supplemented their income by her little store in a front room of our house. She sold all sorts of things from candies, pens, pencils, papers, salt and other seasonings, canned goods, soft drinks, beer, kerosene for gas stoves for cooking, anything that people needed for their kitchen, and the school supplies of students who were plentiful in our neighborhood. There was one item that she had to get early in the mornings from a downtown bakery and that was a roll called pandesal which people loved to have for breakfast. I would get up early everyday with her to go get the freshly baked goods from Sunshine Bakery down on the base of the main thoroughfare called Session Road. She would wake me up early in the morning so I could walk with her to go get hot off the oven pan de sal. Young students from the neighborhood came to buy the pandesal for their breakfast. My sisters and I enjoyed these pandesal for breakfast before we left for school. Nowadays, I wake up early to leave for the flower wholesaler to avoid the peak traffic for commuters and to be able to pick the freshest flowers. I do these at least twice a week, depending on how busy I expect to be for the week. Everytime I go out early to get flowers and supplies for my flowershop, I remember my Mom and our early walks. During the cold months, we had to bundle up, and by the time we get to the top of Session Road on our way back home, I was breathless and hot and with a sweater peeled off of me. Mom has long been gone, and the bakery too, but the memories are imprinted in my heart. The lessons I learned from her, her patience with her 7 children, her hardwork, her talents and her quiet demeanor, I now cherish. Congratulate the parents for the birth of a new addition to the family. Floral gift can be delivered to the hospital addressed to the new Mom. 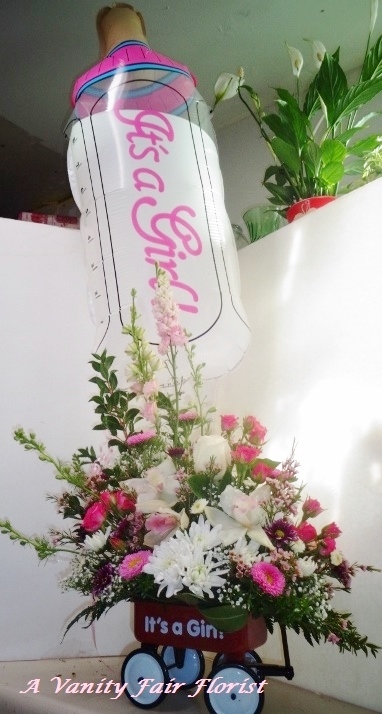 Flowers in a keepsake wagon with a balloon. Send your love and celebrate the birthday of a loved one with flowers. The language of love is mostly expressed with roses. 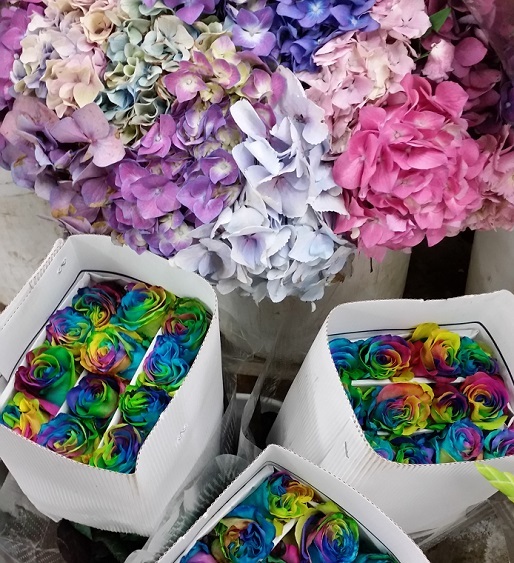 We suggest a mixture of beautiful flowers with gorgeous roses. Beautiful roses with orchids and fragrant lilies. When the new year arrives, most of us make our resolutions. The majority of us resolve to loose weight and the pounds added during the holiday celebrations with friends, co-workers and family. More important to include in our resolutions should be to stay healthy. Take your smart phone with you but, enjoy nature, observe your neighborhood, flowers, trees and nature. It helps you relax, takes the stress away and also helps you stay limber, improves cardio, builds stamina and you lose/burn calories. Drink at least 8 cups per day. Reach for a large cup or a bottle of water, juice, milk, and other fluids (except alcohol) when you have the urge to snack. Drinking water helps maintain the balance of our body fluids. It helps control calories, helps energize muscles, helps keep skin looking good, helps kidneys, and helps maintain normal bowel function. Grains, especially whole grains, are an essential part of a healthy diet. All types of grains are good sources of complex carbohydrates and some key vitamins and minerals. Grains are also naturally low in fat. All of this makes grains a healthy option. Better yet, they've been linked to a lower risk of heart disease, diabetes, certain cancers and other health problems. (Mayo Clinic). Wash your hands with soap and water for at least 15 seconds. It helps eliminate bacteria, and helps stop the spread of virus that goes around in classrooms, offices, etc. We need 7 to 8 hours sleep to recharge our bodies, rejuvenate our memory process and energize our nervous and immune system. Smile and you get it back. Laugh with your spouse, your friends, family members, and co-workers. Laughing helps reduce stress, lowers blood pressure, boost the immune system, improves brain function. Work environment is pleasant with everybody in a good mood and feeling good. Spread happiness in 2015. Send flowers to someone you really care, they will enjoy the flowers and know they are loved. The surprise of receiving flowers will make them smile and happy. 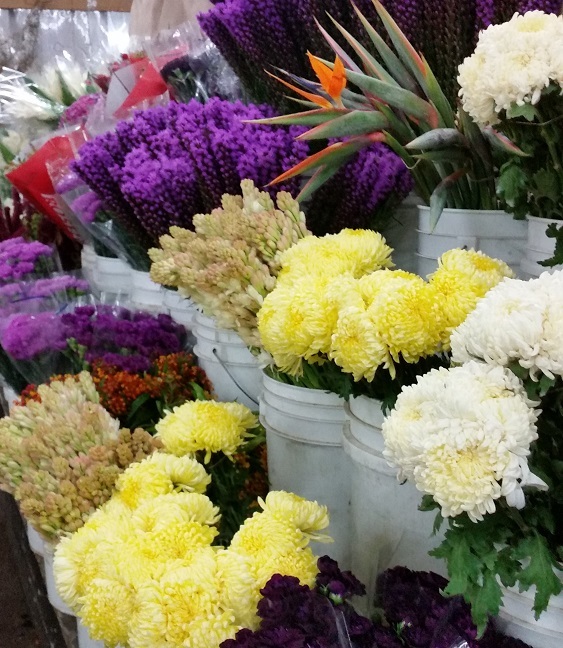 To keep our flowers fresh, we commit to handle and care for our flowers. 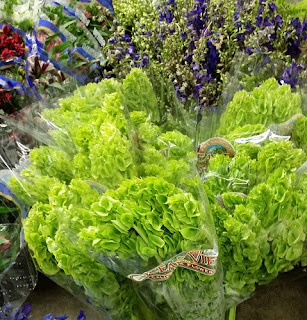 We insist that we get the freshest product from our wholesaler and we inspect the quality of each bunch of flowers we receive. We make sure we use clean tools and clean buckets. And we make sure all our work stations and surface where we lay our flowers are scrubbed clean. 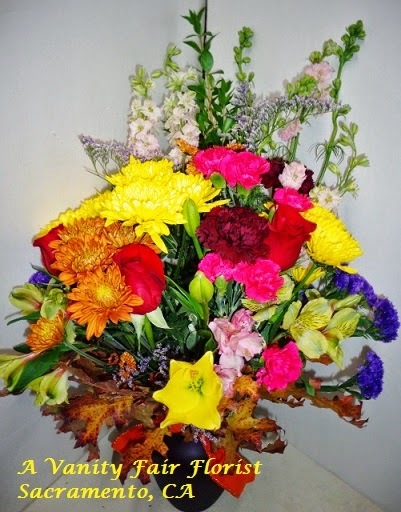 The flowers we use most often are those that have long lifespan so the recipients will enjoy their gift longer. 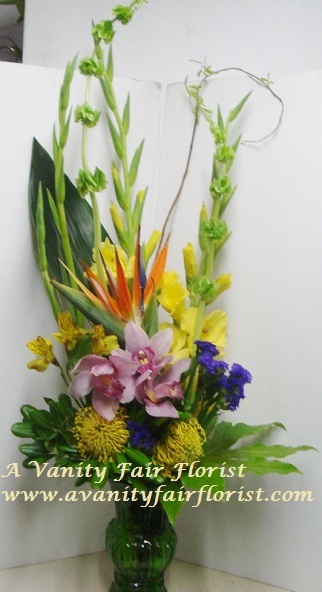 Tropical Flowers using Bells of Ireland, Bird of Paradise, Orchids, Protea, etc. Do you have Permanent(silk) Flower Arrangements? The beauty of permanent floral arrangement lasts a long time but like everything else, it fades eventually. It could fade much faster if it is not freshened routinely. There are simple ways to keep your permanent display fresh looking for as long as you can. 1. Using a soft paintbrush, dust leaves, branches and large flowers like Anthurium, Birds of Paradise, Orchids, Lilies, etc. 2. Use hair dryer set on cool setting to blow dust from the small flowers and any dust remaining on the foliage, branches and the rest of the floral arrangement. 3. Use Leafshine spray, if you have one, to bring out the shine and freshness to finish it off. Ms. Quest had tantrums when my sister finally passed her on to us. She must have felt the same way my sister felt who shed tears when she handed the keys and papers to us. My sister wanted us to have her but it took 4+ years for her to finally give her up. She was hesitant to give her up, but we had lost our delivery van to an accident. 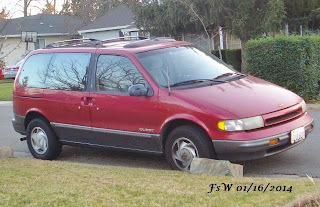 The driver of a big SUV run a red light and hit our van which was travelling at the speed limit of 45 mph. Our car was totaled and my driver/husband was hospitalized. Back to Ms. Quest, fortunately her tantrums happened when it was at a safe location, like the flower shop which is next to auto repair shops. After, a month, it stalled a block away from the shop after all deliveries were completed for the day. It was in the repair shop for a week. Ms. Quest run so well after getting fixed, carrying a lot of birthday flowers, wedding flowers near and far, funeral flowers to cemeteries, funeral homes, churches, event halls, flowers to welcome newborns in hospitals and homes, get well flowers to cheer people who were not well and weekly trips to assisted living homes to cheer seniors with fresh flowers to adorn their dining rooms and reception areas. 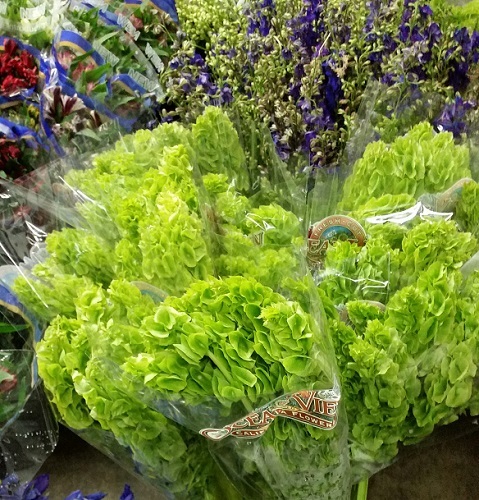 A year ago, early in the morning, we drove to the wholesaler to pick up our stock of flowers for the week. When it was time to make a delivery, it didn't want to start. I was grateful that it did not break down on us on our trip to the wholesaler or on our trip back to the shop. Upon diagnosis, the starter was the problem. It was fixed after a week, and it purred like a happy kitten. It even took me to Berkeley and back to see my girlfriends. Over the weekend, after a long day out delivering funeral flowers, event flowers at the Convention Center, birthday flowers and sympathy flowers for the family of a young man shot to death by a robber at an auto parts store, on it's way home, at a traffic light, it made a loud clunking sound when the light turned green and it was supposed to accelerate to go. Fortunately, it was not too far from home and one of our son's roommates was available to do the rescue.